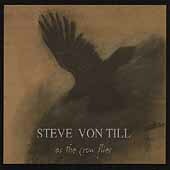 Haunted by the voices of generations past, Steve Von Till's delicate and intense songs have the rare ability to speak for one while they speak for us all. The album is simultaneously universal and personal - with each exposed nerve of the artist's life, it demands that we reveal the same. If I Should Fall to the Field is filled with urgent melodies and majestic crescendos of chiming guitars, cymbal crashes and distant vocal harmonies that lull behind Von Till's thick, weathered voice. Throughout, the songwriter's somber vocals are recorded with such breathy intensity it sounds as though each lyric were a whisper for only one listener to hear. He has clearly found the same powerful subtlety harnessed by Michael Gira, Mark Lanegan and Jeffrey Lee Pierce. The album nods to traditions of forgotten music (including antique sounds of banjo, fiddle and Hammond organ), while personalizing the whole endeavor with a recording of a rhyme recited in 1961 by Von Till's grandfather (over which Steve and friends add a soft drone). The powerful adaptation of the classic ballad by Neil Young and Crazy Horse, "Running Dry (Requiem for the Rockets)" beautifully reanimates the song's potent lyrics as if it were a page cut directly from the singer's diary. His own lyrics unfold a personal poetic realism as could only be crafted by a gifted storyteller. Elsewhere, Von Till adapts abandoned standards as if they were his own creations -- such as "My Work is Done" and "Am I Born to Die" -- that have been tucked away in the recesses of American folk history. Ages ago, folk songs traveled through human history like a plague Ð mutating and adapting the characteristics of each carrier and compounding the ghostly weight of the past. 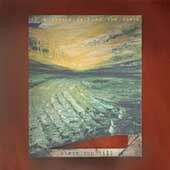 Von Till shows a depth and breadth to his songwriting that makes If I Should Fall to the Field flow like the bloodlines that connect us all. 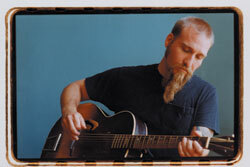 Von Till's first solo effort, As the Crow Flies proved that threadbare, acoustic songs could sound equally as fierce, droning and heavy as his work as a guitarist/vocalist in the Bay Area hard rock band, Neurosis. Even though Von Till's musical endeavors -- Neurosis, Tribes of Neurot and solo work -- continue to branch out with each new recording, If I Should Fall to the Field dares to go further out on a limb. Now, shorn of any ironic novelty, listeners can hear the culmination of ideas that have germinated within the songwriter's other projects manifest with captivating emotional depth and inspired artistry.